As you can tell from recent posts, I’m swamped with end-of-semester grading, with a few glimpses up from the research to blog. Since I just can’t manage one more scholarly thought, the next few posts are likely to be full of seasonal creativity—some of it pretty silly. And I’ll bet I’m not the only one who needs a creativity break (and possibly even an activity for those crazed pre-holiday classroom moments). So here, for your enjoyment, are 12 holiday gifts. And if it feels too long to read, skip to the video at the end, and smile! 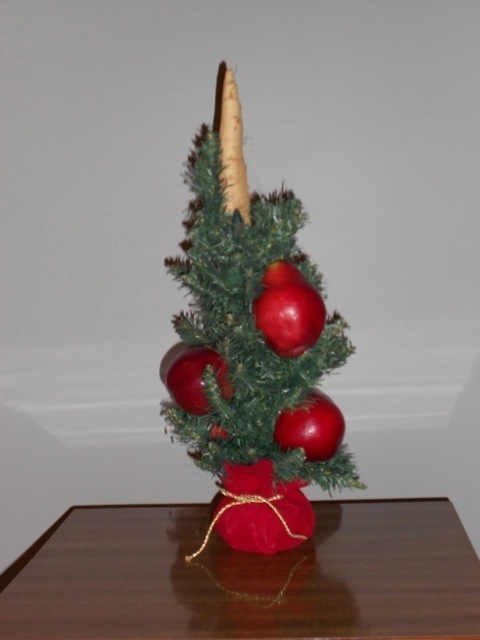 Let’s start with a parsnip—in a pear tree. Needless to say, the 12 Days of Christmas is almost as frequently parodied as ‘Twas the Night Before Christmas. I have The 12 Dogs of Christmas, and you know that is only the beginning. Try your own version, just for fun (maybe personalized for a family member) or add some seasonal spirit by planning a gift for someone in need. I know a group of women who have a whole sequence of food gifts planned for an unemployed friend–from the infamous parsnip in the pear tree, above, to pineapple golden rings. See what you can invent to bring joy to someone’s holiday. 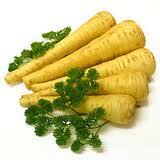 Or perhaps try making Parsnip in a Pear Tree Soup. You’ve heard of turtle candies, those decadent concoctions of caramel, chocolate and pecans? Traditional turtles require boiling caramel, candy thermometers and definite room for error. Then someone used flexible thinking and came up with pretzel turtles—could they be any easier? Try some with your family or any class with access to an oven. This Three French Hens picture book describes the adventures of three French hens who were supposed to be delivered to My True Love, but were lost in shipping. Imagine the adventures that might befall any of the other gifts that went astray, and create their story. Want to hear what those birds might be calling? Here’s one of several websites that shares real birdsongs. There might not be five, but how about Schoolhouse Rock’s Three Ring Government video? Explore some more Schoolhouse Rock magic. Think about a skill your class or child needs to master and write a song about it. No one involved will forget it! I don’t have geese a laying, but some of the most amazing video of all times comes from Christian Moullec’s work bonding and flying with geese. Watch human animal interaction at its best, then watch some of the careful training that made it possible. Don’t have swans either, but you can have fun with these penguins sliding and swimming instead. They feel much more like December, at least in Michigan. How about using some of that milk to try some new milkshake recipes—and invent a new one. What kind of milkshake is the best match for the holidays? And where better to dance than The Nutcracker? There are lots of excerpts online, but here is an amazing opportunity to see the full production by one of Russia’s most highly regarded theaters, the Mariinsky Theater. Enjoy some good creative problem solving with the Pipe Game. Can you connect the pipes before the water runs out? You can be a drummer, too! Try a virtual drum set online and see what you can do. Of course, if you haven’t had enough, you can set off on the annual challenge of pricing-out the traditional carol. Where would you order all those things, and how much would they cost? If you have a bright student who needs a math challenge, how about that? Finally, enjoy this version of what happened on the 12 Days After Christmas courtesy of composer Frederick Silver and a fine Boyd High School A Cappella choir. I included the lyrics at the end, in case you want to sing along! If you’d like to download the music, you can find it here.